Venezuela — mired in political conflict — is also dealing with widespread economic distortions that have made day-to-day life an ordeal. But that ordeal is not spread evenly among the population. 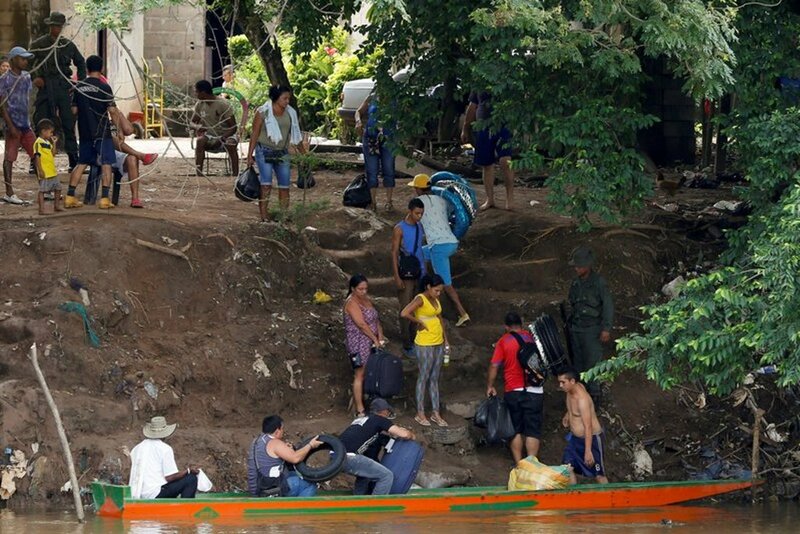 The strain of hunting ever scarcer food, medicine, and other goods has had an outsize effect on the country’s women and children, and a near riot in a town on the Colombian border shows how desperate some in the country have become. 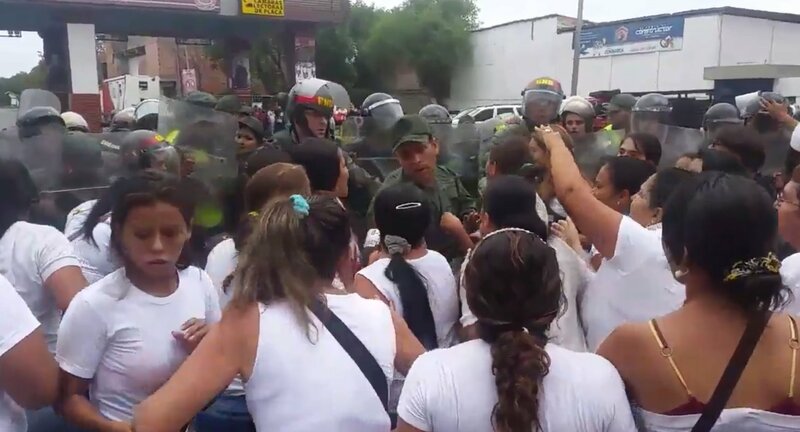 On Tuesday, a group of 500 women, clad in white and traveling together, approached the Francisco de Paula Santander bridge that connects Ureña in Venezuela’s restive Táchira state with the Colombian town of Cúcuta, pushing their way past a cordon of police and national guard. 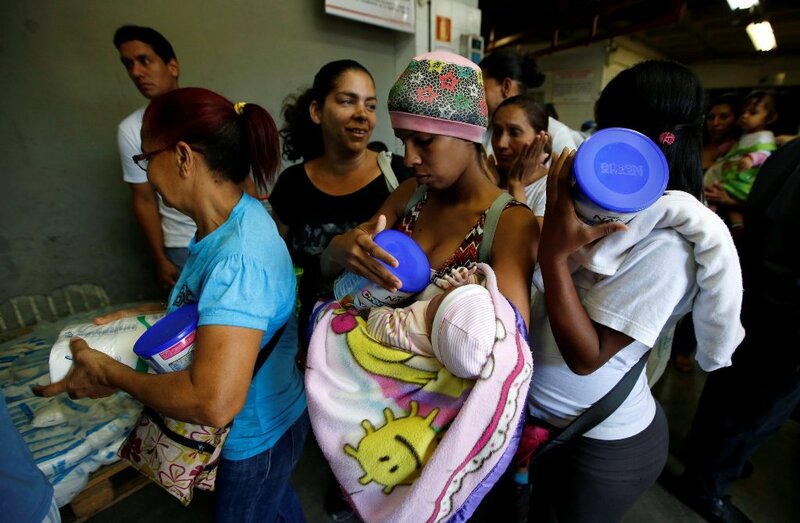 Hundreds of women were reportedly able to make it past the police barriers, making their way to Cúcuta’s supermarkets to seek out goods like toilet paper, cooking oil, corn flour, and other products that are hard to find in Venezuela. Because of the exchange rate between the Venezuelan bolivar and Colombian peso, the women who made it to Cúcuta could have paid 10 times more than the official prices of the same goods at home, according to The Guardian. But they were motivated by need rather than frugality. “We decided to cross the border because we don’t have food in our homes and our children are going hungry. There is much need,” a woman told local newspaper La Opinión. “We found everything and the cordiality of the Colombian people was very good,” she added. 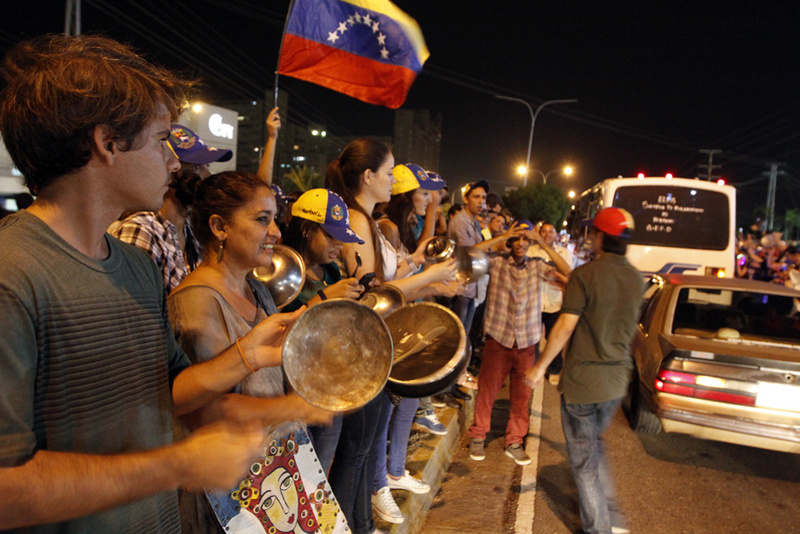 On their return to Venezuelan soil, the women and others who crossed the border sang the country’s national anthem, perhaps a sardonic tribute to the country’s independence from Spain, celebrated on July 5. 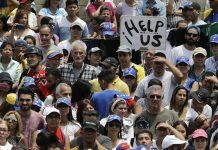 Their protest followed demonstrations over food shortages in four states on Monday, and Venezuela’s chamber of commerce has warned that shortages could grow worse in the second half the year. The women who crossed the border did so in defiance of the nearly yearlong closure of Venezuela’s roughly 1,300-mile border with Colombia, put in place by President Nicolás Maduro. 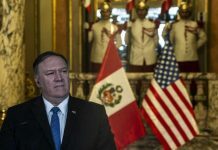 Shutting the border was meant to stymie smugglers who illegally exported goods to Colombia to resell at much higher prices and was followed by the mass deportation of Colombians living in the border area. While neighboring Colombia has become an outlet for desperate shoppers in western Venezuela, conditions farther east also dire. 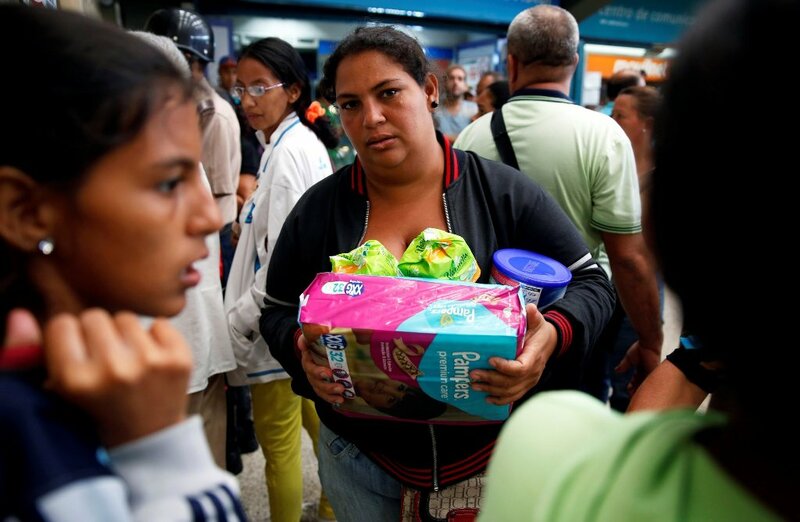 In the capital, Caracas, day-to-day economic misery is acute, especially for women. Venezuela derives about 95% of its export earnings from oil sales. Amid the global oil-price slump, which has made less money available for imports. 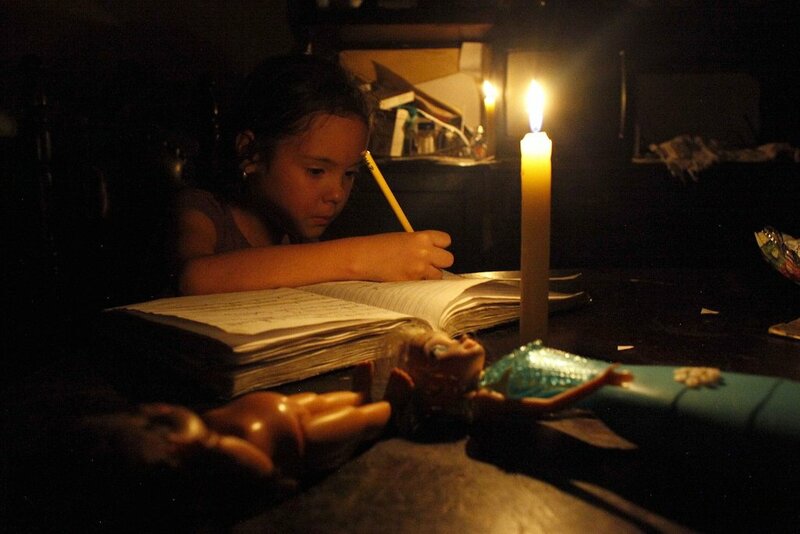 The Venezuelan government has also held price controls in place. The result has been that local producers stop making essential goods because price controls reduce their profits, just as the government reduces its imports of those goods. Some products now have exorbitant prices while others are ever more scarce. Falling production and imports have spurred on inflation, which reached 180% in May. “There simply are not enough goods to go around,” Tulane professor David Smilde, who lives in Caracas, wrote this week. Black-market and informal-market alternatives exist for Venezuelans looking for food, but the vast majority struggle to find things to eat, and they get by on unhealthy or extremely limited diets. Not all demonstrations in response to these shortages have been as calm as the women in white in Ureña. Multiple food riots have occurred across the country, including in the streets around the presidential palace in Caracas. In June, three people were killed at food-related demonstrations. 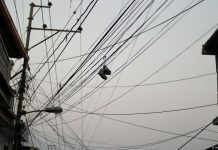 Tension in the streets, and rising rates of theft and crime, have led to explosions of vigilante violence, including lynchings, 70 of which took place in the first four months of 2016. Even as Maduro and his political allies blame “economic warfare” by the US and its allies in Venezuela, the popular classes — those who have traditionally supported Maduro, his predecessor Hugo Chavez, and their socialist party — have borne the brunt of the crisis. Their anger with this suffering likely contributed to the socialist party’s resounding defeat in parliamentary elections in December. This month, a poll found that Maduro’s support had fallen to 23%, while 80% of the country wants him out of power this year. An effort to launch a recall referendum against the president has stalled, as the government contests many of the signatures gathered in support of the recall. Venezuela’s debt has climbed to $125 billion, with a total of $5.8 billion due in the latter of half of this year. In spite of its ever more unstable financial situation, the country has continued to make payments on its foreign debt, which requires a significant amount of its foreign reserves. “The government has chosen to prioritize paying their foreign debts over people’s consumption and that explains why people are suffering,” Smilde noted. conomic and legal experts argue that defaulting would allow Venezuela to open up more money to direct toward imports. 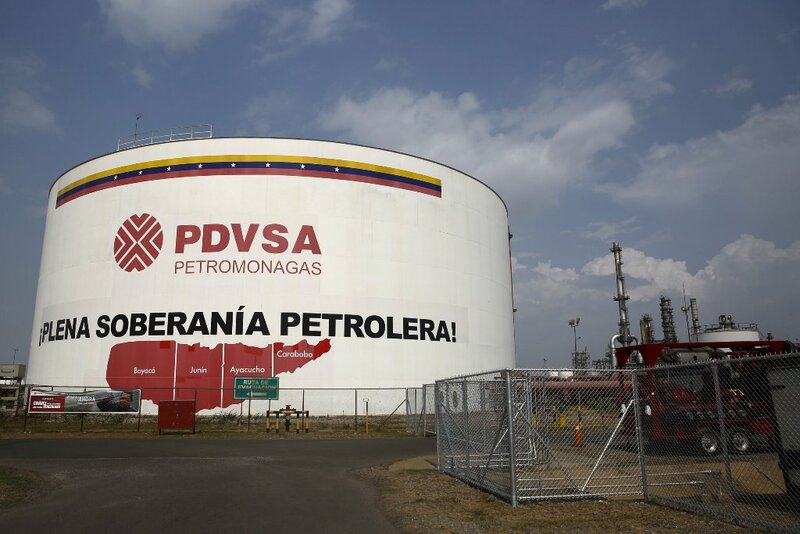 However, the Venezuelan government likely regards the penalties default would bring against state-run oil operations — which still bring in cash, though less than before — as unacceptable, and it would prefer to muddle through the oil-price downturn, despite the consequences for Venezuelans. For the people spending hours in the streets, waiting to buy scarce goods at high prices, such political and economic calculations are likely to be unpersuasive. Can Maduro Remain in Power As Venezuela Erupts in Protest?